Once you have confirmed your exhibition schedule for the year and booked your floor space, the next logical step is look at your exhibition stand. 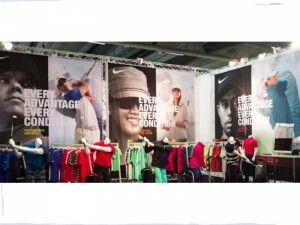 Finding the right exhibition stand supplier is not straightforward however. Google ‘exhibition stand suppliers’ and hundreds of companies will crop up, all of whom are trying to get your attention. Don’t just click on the company at the top of the listings, shop around a bit to make sure each company has the competencies you really need. Although most companies will supply the exhibition stand itself, very few will offer services around ‘build’ and ‘break down’. Even fewer suppliers will offer a fully outsourced managed service. Exhibition management is a complex task! Exhibition stand design, exhibition logistics, stand insurance, PR, printing, data capture, WIFI and ongoing storage are just some of the things you need to think about. The principal thing you need to do before actually searching for an exhibition stand supplier is to outline what you expect and need from them. This will help you put together a briefing document that you can provide to your chosen companies. Make sure you give as much detail as possible including budget guidelines to ensure you receive back plausible designs. Remember not all suppliers will offer the same service and warranties so make sure you check this out early on in your search. It’s also worth thinking about whether you want your stand design to offer flexibility and scalability for future exhibitions and events. Modular exhibition stands will save you lots of time and effort if your stand design is likely to change on a show by show basis. So now you have proposals from several different suppliers, how do you choose which company to partner with? Which exhibition company took the time to really understand your requirements? Which supplier addressed all of the items in your brief? Think about the services each company offers and how they will help you have a stress free show. 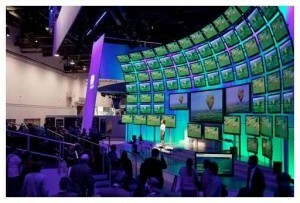 Think about future exhibitions and how they may be able to help you re-purpose your display keeping future costs down. Lastly, don’t always choose a solution based purely on price! The age old adage ‘you get what you pay for’ is always worth remembering! Try to look at total ownership costs over time and if they are too high, consider exhibition stand rental to test the services of the supplier before you invest. A case of ‘try before you buy’ if you like!